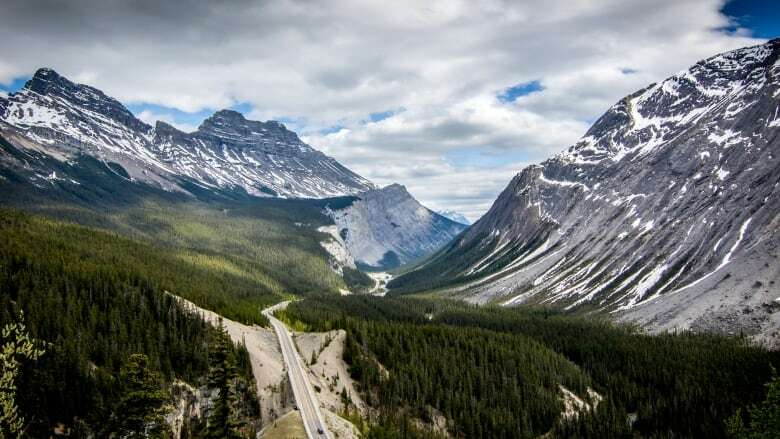 Plans for a controversial bike trail that would have paralleled a world-famous scenic highway through two of Canada’s best-loved national parks have been scrapped. “Preliminary feedback from the consultation process expressed concerns over the potential environmental impact and high cost associated with the project,” the agency said in the release. The budget for the project was set at $86 million, with about $20 million coming from Parks Canada’s capital budget. Jasper National Park is threatened by a proposed transmission line that will put unacceptable pressure on the park’s most critical wildlife habitat and adversely affect the wild beauty of the Athabasca Valley. The line would also be exposed to the dangers of extreme weather events leading to possible power outages in Jasper. The Palisades natural gas-powered generating plant is made up of a combination of gas turbines and diesel generators that produce electricity for the Jasper area. Some of the generating equipment is at the end of its useful life and other equipment will need to be retired within the next decade. As a solution the power company, ATCO, favours an overhead line to connect Jasper to the Alberta grid; it would run 45 km from a transition tie-in at the east park boundary to a new substation replacing the old power plant. The line, carried on 480 power poles would follow the Athabasca Valley running through the centre of the park. This is a critical wildlife corridor and winter habitat for both prey and predators. Its forests and numerous wetlands provide important nesting habitat and a flyway for summer migrant birds on their way to arctic and prairie breeding grounds. But transmission lines pose a real danger, killing as many as 41 million birds across Canada each year. Power poles up to 19m high will detract from park visitor experience and the stunning views of a still virtually unspoiled mountain landscape. ATCO is also planning to log almost 27,000 trees more than 2.5m high on its right-of-way. At a recent four-day hearing held by the Alberta Utilities Commission (AUC) in Calgary experts pointed out that rebuilding the present generation plant would be cheaper and prove more reliable than an exposed line susceptible to windstorms and forest fires. This solution would also preserve the integrity of the park’s wildlife habitat and leave the views unspoiled. A decision by the AUC is expected sometime this spring. ATCO stake for a power pole in spruce forest along Celestine Lake road. Marmot Basin in Jasper National Park recently announced five new expert ski runs in critical habitat of threatened woodland caribou (considered ‘endangered’ by COSEWIC). The Tres Hombres slope above the Whistlers Creek Valley is within Marmot’s leasehold but outside its developed footprint and is part of the range of the Tonquin caribou herd. Since 1981 Parks Canada has refused any development into the valley due to the vulnerability of the caribou and mountain goats. Now Parks has given the nod to Marmot’s new runs but will not allow ski lifts. While Parks Canada once again appears to have sided with a business interest, it has told the Jasper Environmental Association that a “permanent decision” has been made that no ski lifts will be permitted on the slopes of Whistlers Valley. Any skiers on the Tres Hombres slope will have to exit that run via a long traverse across the once aptly named Caribou Knoll to regain access to the ski lifts in the developed area. This refusal to allow lifts on Tres Hombres would also apply to the nearby Outer Limits slope where the absence of a lift would mean there is no way out except through mountain goat habitat that is now protected by Parks. This ‘no lift’ decision appears to reflect the strong recommendations of the 2014 Tonquin Caribou Risk Assessment report by an independent caribou specialist and a report in the Journal of Wildlife Management that indicated the avoidance by mountain goats of important habitat in the Marmot Basin ski area. Jasper’s Marmot Basin has announced plans to open one of the slopes above Whistlers Creek to off-piste skiing this winter. The Tres Hombres slope is part of Marmot’s leasehold but outside its present developed footprint. In 2007 the Marmot Basin Strategic Environmental Assessment including site guidelines for future development and use of Marmot’s leasehold was made public. It theorized that off-piste skiing in the Outer Limits and Tres Hombres area could influence caribou use of habitat in and around Whistlers Creek valley and could result in the disturbance of caribou outside the boundary. Because of these concerns it was decided that any proposed development in this area should be determined by a Caribou Risk Assessment. The 160-page Tonquin Caribou Risk Assessment, by University of Alberta caribou specialists, was completed in 2014. It pointed out that all the Whistlers valley slopes are part of the endangered Tonquin caribou herd’s range and stated clearly: New developments within the Tonquin range could exacerbate current conditions, and therefore would not be consistent with the need for active recovery efforts to address threats to the rapidly declining Tonquin caribou population. Off-piste skiing has been carried on in the Tres Hombres area by a few hardy skiers each winter if snow conditions are favourable. However, this announcement by Marmot designating five expert runs on the slope and the installation of fencing and gates appears to be an increase in development. Will there be an increase in avalanche control for this official ski slope? There are bound to be people with limited skiing ability who will be tempted to use these listed runs; what plans are there for the evacuation of casualties? What is there to stop skiers from continuing down to Whistlers Creek that is a closed area until February 16th each year to protect caribou from ingress by wolves taking advantage of ski tracks? Because Tres Hombres is within its leasehold Marmot may feel within its rights to use the area but considering the plight of this struggling caribou herd is it not incumbent on Parks Canada under the Species at Risk Act to require that Marmot stay inside its present developed footprint? My family and I visited Jasper and Banff National Parks for the first time in 1979. We enjoyed the spectacular scenery and the abundant wildlife of the great Canadian wilderness. We kept coming back and over the past decades we’ve spent twelve vacations in these magnificent mountain parks. Back home in the Netherlands we told our friends of our adventures and as a result some of them came to Canada as tourists to see for themselves. Over the years,however, we began to notice some changes that were taking place and not for the better, unfortunately. Gradually the situation went from bad to worse. Banff became overdeveloped and the ongoing commercialization took place at a huge cost to the environment. Its wildlife population is fragmented and in trouble. Some people refer to Banff as Disneyland North and scientists wonder if the park will be a nature preserve or a fancy resort for rich people over the long term. We assumed history wouldn’t repeat itself and that Parks Canada wouldn’t make the same mistake twice. After all, their mission is to preserve Canada’s natural heritage for future generations and to maintain the ecological integrity of these once pristine parks. To our dismay we found out that we had been naive. The same kind of disaster that happened in Banff is currently taking place in Jasper. Parks Canada continues to give in to the requests of commercial interests. It’s the same old song all over again. More tourist attractions, more accommodation, more facilities and more money for businesses. Parks Canada allowed a commercial company, Brewster Travel Canada, to build the Skywalk, another expensive tourist trap. Moreover, once the plan for a hotel at Maligne Lake had been rejected, Parks Canada thought of another kind of accommodation that would enable visitors to spend the night there, tent cabins. And now they are constructing the Jasper-Icefields bike trail , which is damaging prime grizzly habitat. Just as we thought things couldn’t get any worse we read that an indigenous band was permitted to shoot several elk, deer and sheep. Allowing people to hunt in a national park is unacceptable. As Canadian citizens, First Nations should have equal rights, not special priviliges. Finally, there are two more things I have to get off my chest. First of all I don’t understand why speed limits are not enforced on the Yellowhead Highway. Now many people, especially truck drivers, seem to think the road is a racetrack for amateurs. And there’s another thing that worries me. Why are there no buffer zones around the national parks? Once bears, cougars or wolves cross park boundaries, they run the risk of being caught in a trap or snare. These animals are meant to be viewed by nature lovers, not to be killed by trappers. I expect Parka Canada to ensure that buffer zones will be implemented in the immediate future. It’s so sad and heartbreaking to witness the decline of these magnificent Canadian mountain parks and I’m convinced that the majority of visitors prefer an unspoilt, pristine wilderness to an amusement park for tourists. 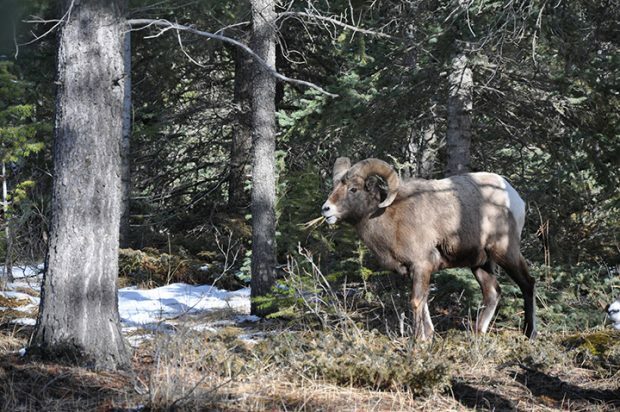 An Indigenous community from central British Columbia is in Jasper National Park to hunt deer, sheep and elk, causing the temporary closure of the area to the public. “We’re determined to exercise our title and right within our territory,” said Simpcw First Nation Chief Nathan Matthew on Friday. Nine hunters will pursue mule deer, whitetail deer, bighorn sheep and elk in an area east of Snaring River, north of Highway 16 and the Athabasca River. A handful of other people will provide support during the hunt, Oct. 6 to 13. Matthew explained community hunts are an integral part of Indigenous culture. Simpcw First Nation is located in central British Columbia, nearly 400 kilometres southwest of Jasper townsite. Matthew said the hunt was carefully planned. The hunters are permitted to harvest a maximum of 10 animals, based on park surveys of the species. Several other Indigenous groups were consulted supported the hunt, said Steve Young, spokesman for Jasper National Park. “The Simpcw First Nation has been communicating with Parks Canada for a number of years on their wish to hold a traditional harvest on their traditionally used lands within the boundaries of Jasper National Park,” he said in a statement Friday. Jasper National Park was formed in 1907, one of several mountain national parks created between 1885 and 1914. The legislation and management of Canada’s parks failed to consider Indigenous traditions at the time. The hunt — which both Matthew and Young emphasized is a key part of reconciliation efforts — is governed under a written agreement with the parks authority. Thousands of trees will be logged as Parks clears an 8m-wide strip to the Icefields, eliminating the equivalent of 142 football fields of critical valley-bottom wildlife habitat. ‘Target audiences’ for this trail through remote Grizzly habitat include ‘families, new Canadians trying out new activities and urban youth’. Is that safe? In our view, the Icefields Parkway with its wide shoulder is one of the safest highways in Canada for biking. In its 58-year history there has been just one unfortunate bike/vehicle fatality. A wide, well-maintained shoulder also meets current demand at a fraction of the cost and without endangering visitors or wildlife. Parks Canada is urging drivers to slow down when driving on Highway 93 after a woodland caribou was seen just north of the Sunwapta Warden Station last week. According to Parks, it is not unusual for woodland caribou, a species at risk, to be found on or near the highway between Sunwapta Falls and the Beauty Creek Hostel at this time of year. Caribou found in the valley along Highway 93 are part of the Brazeau herd, one of four herds in the park. There are only approximately 10 – 15 animals left in this herd and a reduced speed zone has been implemented to help prevent the unnecessary loss of caribou through vehicle collisions. Jasper National Park has four main herds. The northern A la Peche herd, estimated at less than 100 animals, spends most of its time outside the national park. In recent years, surveys suggest the A la Peche population is declining. Three additional herds of caribou are found in the southern part of Jasper, spending most, if not all of their time within the national park. The three herds use distinct regions of the park and rarely interact. In total, their numbers are estimated at approximately 55 animals and have been declining. The largest herd in south Jasper is the Tonquin herd with 38. The Maligne herd is estimated to have less than 10 animals.